It’s official – Epic Records, in conjunction with the Estate of Michael Jackson, announced that it will release XSCAPE, an album of new music by the internationally beloved music icon and King of Pop, Michael Jackson. 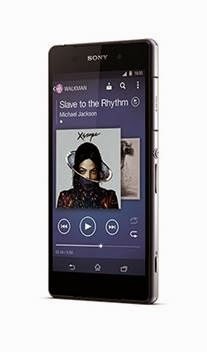 To celebrate the launch of this album on May 13, and as part of a unique ‘One Sony’ collaboration, Sony Mobile customers of select new devices, including Xperia Z2 (incl. the tablet) and Xperia Z1S, will be able to get XSCAPE free on the day of its digital release, through the Xperia™ Lounge app.